Although I’ve been a hiker all my life it wasn’t until my early adult years that I developed a true passion for the outdoors. After years of trying to figure out my passions and what I wanted out of life I finally felt like I really connected with the outdoor life and the people I had met on each trail. 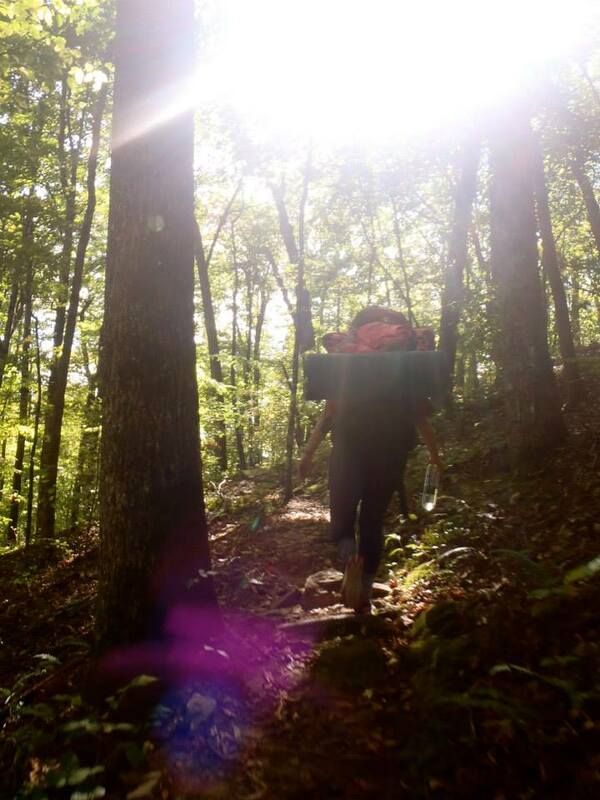 My first backpacking trip was in Fall 2013 in Sparta, Tennessee. The Virgin Falls trail was a perfect trail for an amateur backpacker like me and I was excited to expand my outdoor skills. So a group of strangers and I piled into a van and headed from Tallahassee, FL to Tennessee, marveling at the beautiful countryside along the way. If you have never been to Tennessee or the South in the fall consider putting it on your bucket list. Orange and red leaves painted the small roads that led us to the trail head, and the small town seemed a part of an entirely different world than I had been use to. By the afternoon all of the students who had been strangers just that morning had were fast friends. We packed up our bags and started out on the trail. I was shocked at how much I was able to fit in my backpack. As a first time backpacker, the size of the pack seemed extensive, however we ended up using every single inch of space available. Once we made it to our campsite we took some time to explore, make dinner, and set up camp before it got dark. After a failed bear bag attempt (mine) we all gathered started back to our camp. My new friends and I piled into our tents and talked through the night like we had been friends forever. The next day started early with mushy oatmeal. I didn’t realize it then, but mushy oatmeal would become one of my favorite meals because whenever I eat it I am always camping, backpacking, or hiking. The hike that day included caves, waterfalls and trails that embraced the changing foliage. By the time we made it back to camp that night I was exhausted. Though it was a short and sweet trip, it sparked my interest (and love) for backpacking. On our eight hour drive home, I was amazed at how fast we had all become friends. Two days prior, I had never known these people, and now they were some of the greatest people I have ever known. The connection that nature brings to a group of people is astounding to me, and most of my greatest friends have been those who I have been able to share outdoor experiences with. This backpacking trip was intimidating for me at first- I was scared of embarking on a trip like this by myself. I was scared of getting outside my comfort zone. Now that I am out of that zone, I can’t imagine turning back, and I won’t be any time soon.